Home / Messaging / Best Chat Client On Windows Phone [And It's Not Whatsapp]. Best Chat Client On Windows Phone [And It's Not Whatsapp]. Built by ex-Yahoo employees, and now owned by Facebook, WhatsApp is the world's most popular messenger. The cross platform messaging service has over 500 million monthly active users. The company claims that its servers deliver more than 10 billion messages each day! This should give you an idea about just how popular this app is. So, when we say that there is something better than WhatsApp on Windows store, WE MEAN IT. Yes, you read correctly. 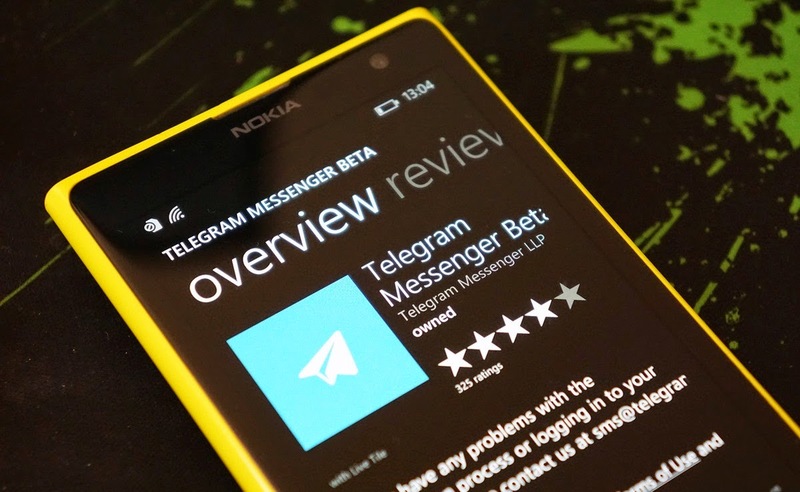 Most of you know about it , and most of you probably have dismissed Telegram Messenger Beta in favor of WhatsApp when it launched on Windows Store. But, make no mistake, with regular updates and a superb UI, this app is becoming quite the crowd favorite. Apart from being one of the most user friendly IM client in Windows store it is also one of the most feature filled app, with myriads of features. For instance, the latest update brings the following. Revised notifications in groups: mentioned users and people you reply to will be notified (private chat notification settings apply in this case instead of group settings). Well, here's a fun fact. Telegram Messenger is Cross-Platform. That is you can use it from your computer running any OS by installing the desktop software. Sure you could use WhatsApp on your computer, but the process is rather cumbersome and limited. Moreover, you can use it only on Google Chrome browser and your phone needs to be connected to the Internet. Bummer..!! How nice is it to download the Telegram Messenger Desktop Client and run it anytime you wish, regardless of which browser you us or if your phone is connected to net or not. And it is portable, that is you can carry the tiny software in your USB stick and run it on any PC. Apart from that, with Telegram, you can create group chats with up to 200 people so you can stay connected with everyone at once. Plus, you can share videos up to 1 GB, send multiple photos from the web, and forward any media you receive. What separates it from the crowd is the focus on security. Telegram offers secret Chats with an option to select the level of encryption. You can can program the messages to self destruct from both devices so there is never any record of it. Any aspect of social interaction we could think of, Telegram's got us covered. So why don't you take it out for a spin. May be you will like it. Tell us all about it in the comments below.